Our family has amassed quite a collection of children's books, both because I buy them and because we accept them for review. I've culled and collected and culled and collected more times than I could count or should admit to! But there are a few that have stayed on our shelves for many years that we love and re-read frequently. I thought it would be kind of fun to go back and talk about some particular picture book titles that were accepted for review which we have really connected with. 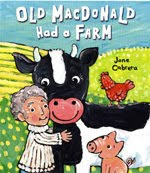 I reviewed Jane Cabrerra's Old MacDonald Had a Farm and Mommy, Carry Me Please over at 5 Minutes for Books back in 2008. Bookworm1 loved them. Then Bookworm2 loved them. And now we're singing a whole lot of E-I-E-I-O with Bookworm3! The pages have been worn to a frazzle and we've had to tape up rips here and there, but that just goes to show that they are well-loved! I highly recommend these titles still! I also reviewed Bedtime in the Jungle (back in 2009). We're still big fans. 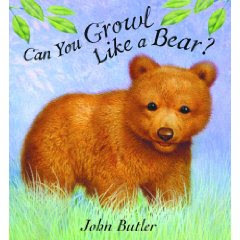 If you actually growl like a bear when reading this book then you win bonus points! All three of our children have loved these, although Bookworm1 holds the record of most-re-reads-in-one-sitting. I'm still a huge fan of Calvin Can't Fly (linked to my 2010 review) and he's been making the reading rounds again here these days. 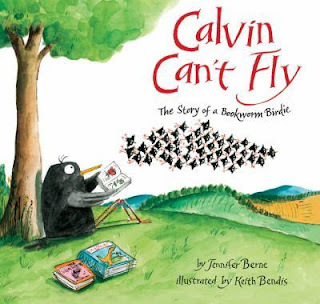 Bookworm2 (age 3) expresses the most love for Calvin at the moment and he's the one who usually drags the book over and asks me to read it. 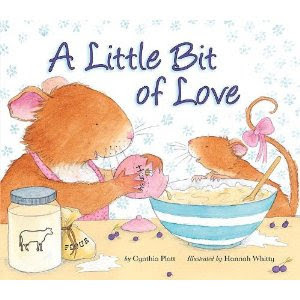 Also, A Little Bit of Love (reviewed Spring 2011) gets a fair amount of our reading time. I've purchased this book as a gift for others also because I really, truly love it! Within the past week we've been re-reading a lot of The Three Billy Goats Fluff which was released in hardback just last year. (You can click on the title to read my review of it from last fall.) This title will be released in paperback this coming Spring. It is most-loved by Bookworm1 (age 5 3/4) at the moment who, every time he catches a glimpse of the cover art, asks me to read it to him. 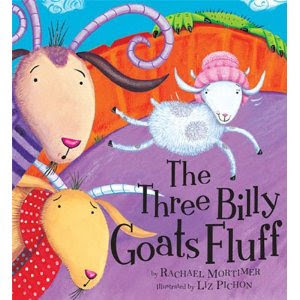 Because this book is well-loved in our home and because I think you'll probably like it also (especially if you have boys) I checked in with Tiger Tales and they were delighted to offer a hardback copy of Three Billy Goats Fluff to one of you! Reviewing picture books is definitely fun. I enjoy the privilege of it very much. I love it even more when we hit upon that ever so special title that one particular child - or all of our children - really connect with. Those are treasures and we love talking about them and sharing them with others. Some we've read and others are new to us from your favorites list. 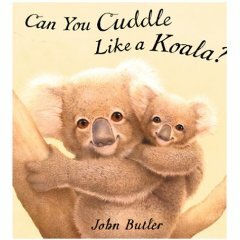 I must say...Tiger Tales does have incredible books for children. It's like a homerun every time! Looks like some fun books! The cover art DOES make me want to read it too! This is a very fun post--and also one of very bad influence. Because you *know* we have lots of children's books already. But we have none of these titles. 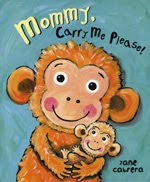 . .
My kids books are ones that I cannot get rid of,"Again!" being the preface to many special titles! I would love a copy of Three Goats! I'm so excited to ramp up our collection again, now that we have a new kiddo to enjoy the "younger" stories again! I know that my grandson would really enjoy this! Thanks for the chance to win it. Elliott loves Three Billy Goats Gruff right now. And if anyone comes to River Bend Park on Crittenden Loop in Albany, you can trip-trap across a troll-style bridge. All of the books are so cute, and sound wonderful. My little girl would love them. Thanks for having this giveaway. I love book blog giveaways! Thanks for reviewing all these books for us. How do you get review copies from so many different publishers? I'm always keeping an eye out for Tiger Tales books now. We love them! I just got one a few weeks back and it was a big hit. Now I'll have to keep an eye out for all of these books! Always on the lookout for new GOOD childrens books! Billy Goats Fluff-cute. Will have to see if our library has it.